From NOAA. 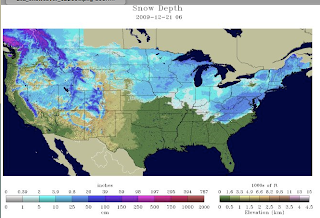 The impending blizzard will whiten much of Colorado, Kansas, and Nebraska that are currently enjoying bare ground. AccuWeather.com has coverage of the powerful storm heading for the Plains and Midwest.